Arashiyama is part of Kyoto City with a large area and plenty of historical spots surrounded by deep forests. It is away from the center of Kyoto and Kyoto Station, but due to its unique location and serene atmosphere, it has become one of the most popular sightseeing places in Kyoto. Although it is relatively far, for those who know the best route it takes only 30 mins. For more information on the best way to get to Arashiyama, read “How to Go to Arashiyama, Kyoto“. As mentioned earlier, Arashiyama has many spots to visit. So, these are the 5 must-go-to spots in Arashiayama, which should be helpful for people who are going to visit this area for the first time. Tenryuji Temple, a World Heritage Site built in 1339, is possibly the most famous and popular spot in Arashiyama. Originally, this temple was built to commemorate Emperor Godaigo, who tried and failed to overturn the government in the Kamakura period. However, thanks to several warrior lords who were supposed to wipe out Godaigo’s army but instead helped Godaigo, and finally overthrew the government. 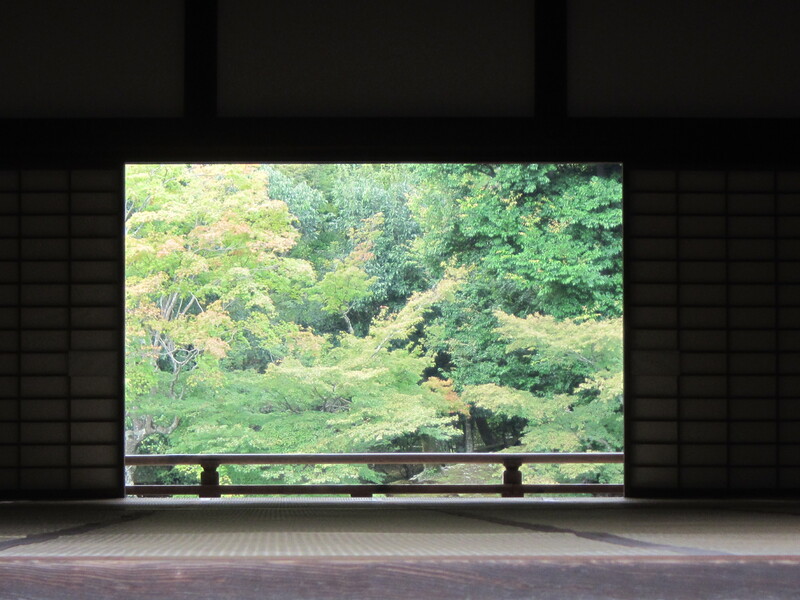 One of the lords was Takauji Ashikaga, who decided to build this temple. However Emperor Godaigo prioritized aristocrats, which in the end made the warlords attack his new attempt to build a country. Takauji Ashikaga, who once helped him was the enemy this time, and Emperor Godaigo retreated deep into the mountains in Nara (south) and died there. There are many beautiful spots inside this temple, but the garden through the main building is the most attractive and picturesque. 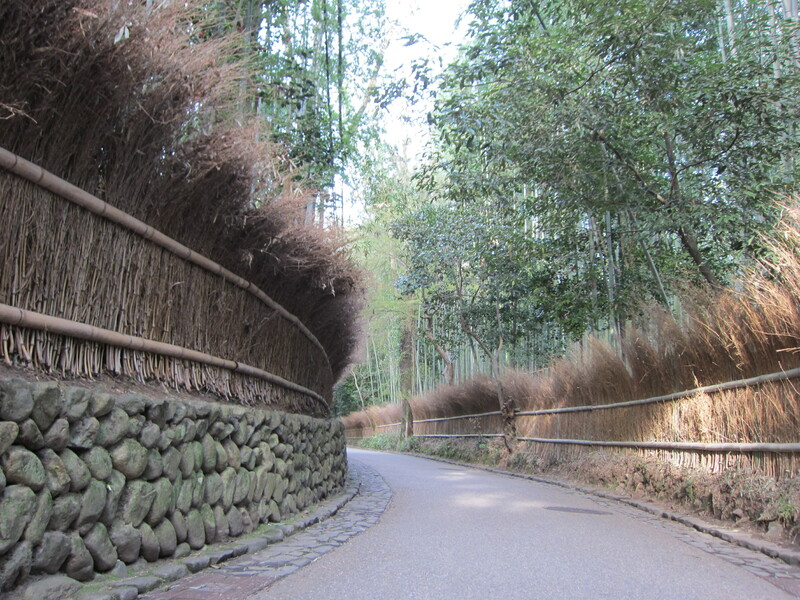 Bamboo Alley, which happens to be the cover of our Kyoto e-Guidebook, is a beautiful walking path connecting Tenryuji Temple and other spots such as Nonomiya Shrine. This colorful railway, often called as Torokko, connects Saga and Kameoka by running through mountains. Deep forests and the transparent Hozugawa river viewed from the train are something not found at the central Kyoto. The windows have no glass, which lets every passenger feel cool wind even in the summer. For those who plan to use this railway during cherry blossoms season (in the beginning of April) and autumn foliage season (middle to the end of November), it is wise to make a reservation at a ticket center at JR Kyoto Station or visit early and make a reservation at Saga station. Buy a round-trip ticket (1240 yen). Nonomiya Shrine is famous for being a location where a court lady stopped for purification before visiting Ise Shrine in Mie prefecture. This prestigious event was conducted from 670 – 1330 for about 660 years. After that this place was changed to a shrine. Most shrines have red Torii gates whereas Nonomiya Shrine has a black torii gate. It is believed that making a wish here to have a safe delivery, to meet a nice companion and to achieve educational objectives is effective. Togetsukyo Bridge is a 155 meter bridge which might be the most famous bridge in Japan. The clean, calm river running beneath the Togetsukyo Bridge and Arashiyama mountain nearby creates the perfect photo opportunity. The river upstream of the bridge is called Oigawa River and downstream is called Katsuragawa River. This spot is filled with people when cherry blossoms are full bloom. Also, during the annual illumination event called Hanatoro (December 12th – 21st in 2014), Togetsukyo Bridge is lit up elegantly.